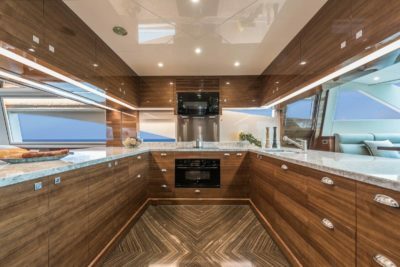 The Horizon E98 motoryacht, was created for clients who wish to enjoy the comforts of a superyacht in a motoryacht just shy of 100 feet. 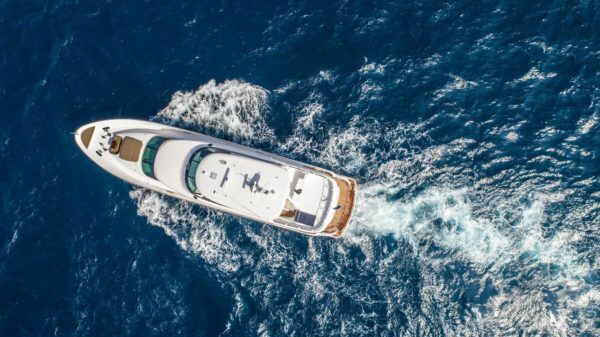 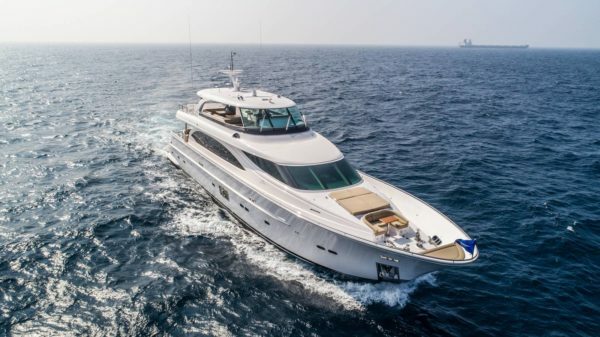 Designed by Swedish designer John Lindblom, her sleek exterior lines follow her popular smaller sister, the Horizon E88 motoryacht, as does her high performance hull that ensures cruising efficiency, stability, and seakeeping. 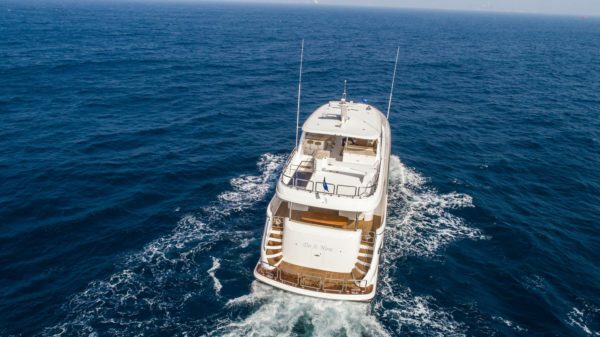 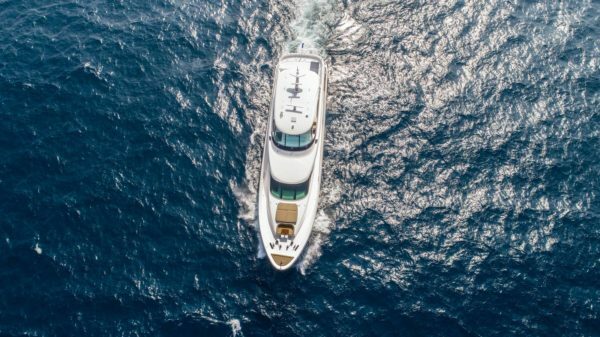 With an exceptional 6’ draft, the E98 has the flexibility to cruise in shallower waters and expand upon available cruising destinations, and her 23’ beam provides plenty of interior volume for comfortably accommodating family and friends on every level. 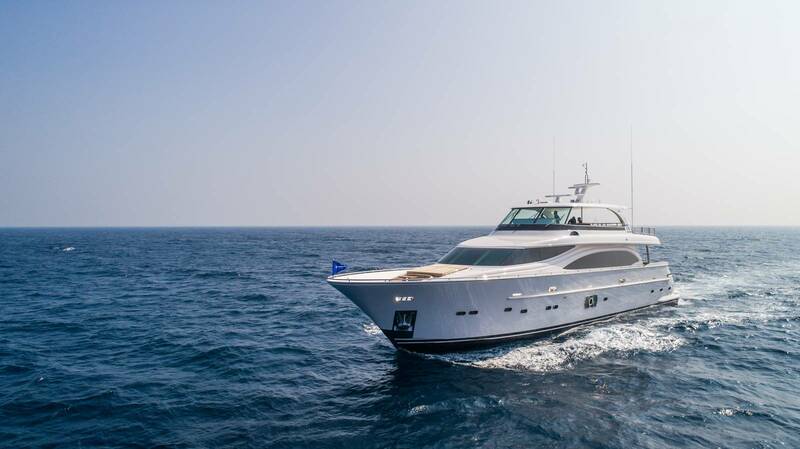 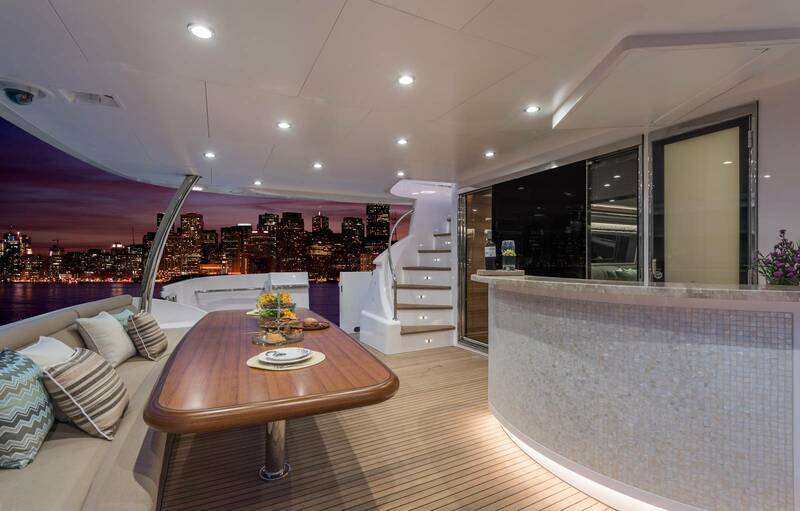 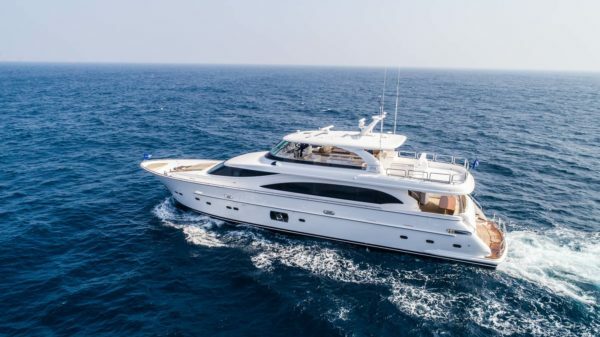 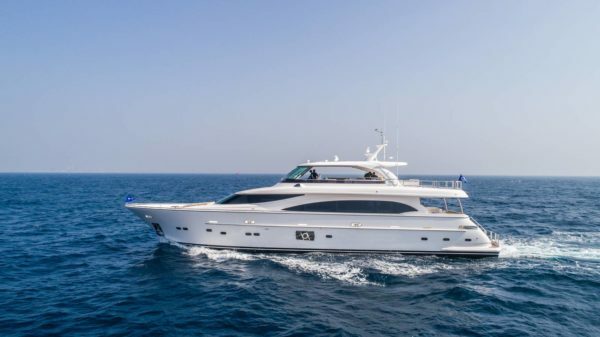 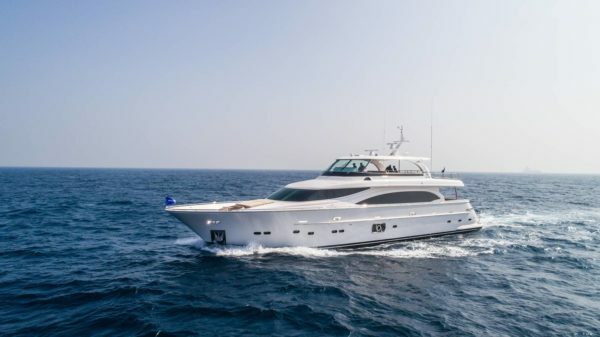 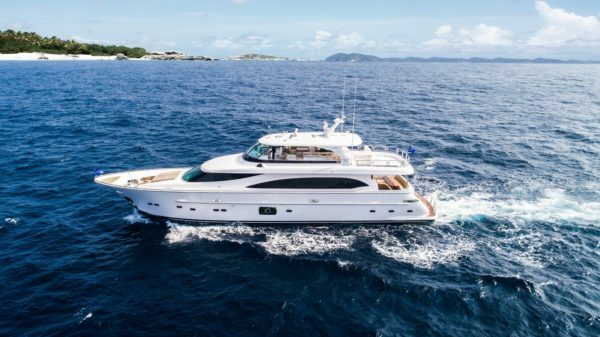 The Horizon E98 is offered in skylounge and open bridge versions to suit a variety of cruising lifestyles.